The Presidential Candidate of the Peoples Democratic Party (PDP), Atiku Abubakar, has given a breakdown of the number of votes he believes he polled in each of the 36 States of the Federation, and the Federal Capital Territory (FCT). Atiku released the figures in his petition against the outcome of the election, which he filed on Monday, challenging the declaration of President Muhammadu Buhari of the All Progressives Congress, (APC), as the winner of the election. 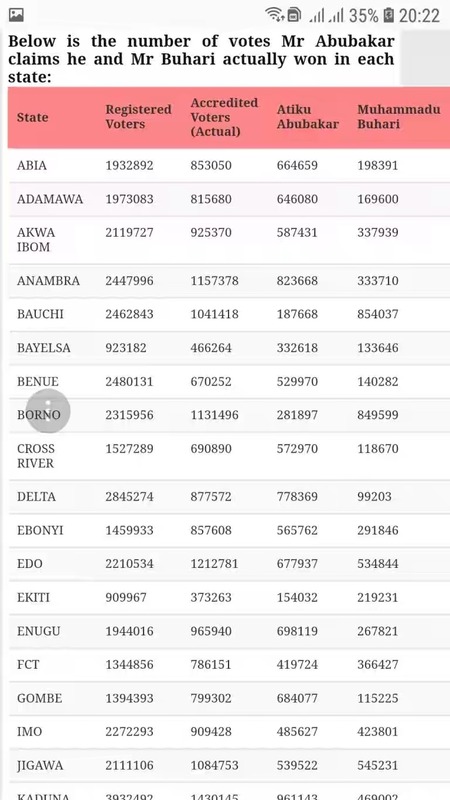 Recall, that on February 27, INEC declared that Buhari won the election in 19 States, with a total of 15,191,847 votes, to defeat Atiku, who won the election in 18 States, polling a total of 11,262,978 votes. However, in the petition, Atiku Abubakar claims that the “true, actual and correct” results upon State by State computation, pitched him as the winner in 21 States, excluding the results from Rivers State, which he said was not available on INEC’s server, as at February 25, when the computation was made. He, thus, claims that Buhari only won the election in 15 States. 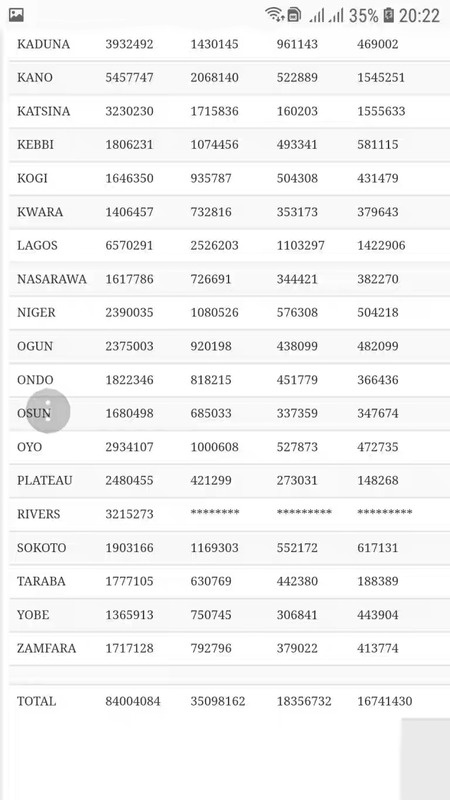 Atiku said that the “State to State computation”, showed that he polled a total of 18,356,732 votes, to defeat Buhari, whom he said scored 16,741,430 votes.